In today’s globalized economy, having the right tools for career prospects and advancement is a must for graduates. Effective communication in English is one of the requirements for would-be employees seeking career opportunities in the Philippines and abroad. In September 2016, Cambridge English of Cambridge University and Quacquarelli Symonds released a study on the global analysis of English language skills in the workplace. According to the research, in countries where English is not a native language, over two-thirds of employers say that English language skills are important. Also, proficiency in the four language skills – reading, writing, speaking, listening—is important for employers, with reading as the most vital followed by speaking. It was also revealed in the same study that applicants with good English language skills are offered a better starting package, especially for those non-native English-speaking countries. 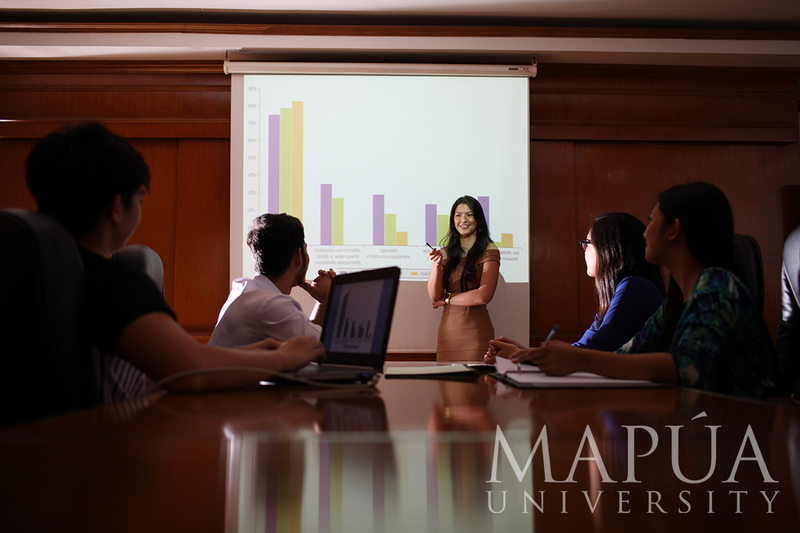 In Mapúa University, English proficiency of its students is regarded as a top priority. To ensure the quality of English proficiency learning, the University has revamped its English program to have two courses on English for the Workplace and another two on English for the Academe, adding three units to the curriculum. Mapúa students are required to take the Test of English for International Communication (TOEIC), the most widely recognized credential for English in the workplace with 7 million test takers a year in over 140 countries and used by over 15,000 organizations. With the TOEIC, candidates are now able to demonstrate to prospective employers that they have the ability to communicate in English as it is spoken, written and heard in the global workplace. Leading global organizations such as Starbucks, Samsung, Harvard University, and the United Nations use the TOEIC tests to gauge the level of English proficiency in their organizations. In the TOEIC certification administered in August last year, 33 students were able to achieve a perfect score of 990 for the listening and reading skills while two students were able to achieve a perfect score for the four proficiency skills (listening, reading, speaking, writing). Mapúa students who are taking the English for the Workplace course are required to take the TOEIC. For school year 2017-2018, mean scores of students who took the TOEIC certification for listening and reading ranged from 847 to 855, a few points away from the perfect score of 990; while for speaking and writing, students’ mean scores ranged from 314 to 318 wherein the perfect score is 400. It is to be noted as well that according to Hopkins International Partners, Mapúa, as an engineering school, is one of the top performing institutions for TOEIC certification. Mapúa has also designed its own Mapúa English Language Test (MELT). This is used to assess the levels of proficiency of students and faculty. The University has also established the English Language Center (ELC) in 2005 to complement Mapúa’s technical curriculum with a strong English component. “The ELC was Mapúa’s response to the need for progressive and dynamic English language learning system that focused on bringing the students’ English proficiency scores to workplace-ready standards,” said ELC Director Ma. Eliza Torres. The ELC is responsible for developing the assessment materials and overseeing the development and implementation of the English syllabi in order to promote the value of English communication skills among the members of the faculty. Through this, students are able to improve their competencies and their confidence in using English for various purposes and settings. Aside from improving the language proficiency for the global workforce, Mapúa’s English proficiency efforts help students and faculty have confidence in dealing with foreign nationalities during student and faculty exchange programs. “It is essential for our faculty and students to communicate clearly with their hosts in other countries in order to achieve the academic and social objectives of our exchange programs,” said Dr. Vea. He added that accurate and effective communication is needed especially when doing international collaborative research. “Having clear ideas and conveying them proficiently in English are key to effective communications,” Dr. Vea said. Mapúa has established linkages with various universities and research institutions worldwide. It’s active participation in the international community by means of partnering with different research institutions is an initial step towards achieving international recognition as among the world’s best research, development, and innovation institutions. Aside from research-focused linkages, the University also has partnerships for international on-the-job trainings, plant visits, student and faculty exchange programs, and summer and English camps.